Its hard to believe that April 1984 marked the first live show played by The Quireboys, which took place @ The Half Moon in Putney, London. So just to commemorate that special day and officially stamp 2014 as their 30th anniversary , The Quireboys will be returning to stage that it all began @ the The Half Moon for a special one off show to kick start the years celebration. Followed by some special festival appearances throughout the summer. The Quireboys will then embark on a 30th anniversary World Tour late autumn. The last 18 months have been an incredible chapter for The Quireboys, with their latest release, Beautiful Curse, outselling everything they have done since that memorable first album “A bit of what you fancy” , but this year is not purely about the present, but more so about joining them on the road and celebrating the last 30 years of pure Rock n Roll heritage, a show that shouldn’t be missed. ¡Tiene que gustarme más que el último disco! ¡Necesariamente! Y con ansia así lo espero. Stay tuned! Para mi será difícil porque mira que "Beautiful curse" me encantó. Aunque lo que de verdad tengo ganas es de ese unplugged en el Sweden. Según Edko Fuzz o Katxorro (ya no me acureod quien de los dos) aquel concierto acústico fué brutal. En acústico esta gente debe de merecer la pena. Muchas de sus canciones así me lo parecen. A ver qué tal lo del Sweden que cuentas. Imposible que decepcione. Eso sí, no comparto tu entusiasmo por Beautiful curse. Espoleado por el buen Celtasnake, estoy recuperando a esta banda que vi en el 2004 en El Sol de Madrid y me gustaron que te cagas. El Spike es un frontman fabuloso. Recuerdo que la banda llegó al escenario con una tajada importante. Spike hacía más eses que un tractor en Chipude. Hablar no podía, pero cómo cantaba: "Heeeeeeeeeeeeeeeeeeeeeeeeeeeeeeeeey, good to seeeeeeeeeeeee yaaaaaaaaaaaaaaaaaaaaa". 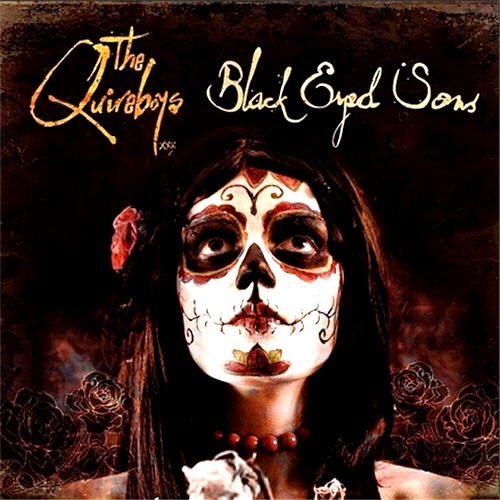 www.rafabasa.com[/mention] escribió: El nuevo lanzamiento triple de THE QUIREBOYS “Black Eyed Sons” estará disponible el 16 de junio compuesto por dos CDs y un DVD a través de Off Your ocka Recordings. Sale en digipak con el nuevo disco de estudio y un directo grabado en su última gira británica el 17 de octubre en el O2 Islington de Londres en CD. El DVD incluye el citado directo filmado con 7 cámaras y su acústico en la última edición del Sweden Rock Festival. 2.What do you want from me? 14 libras en Amazon UK. Vaya, pelín caro ¿no?. 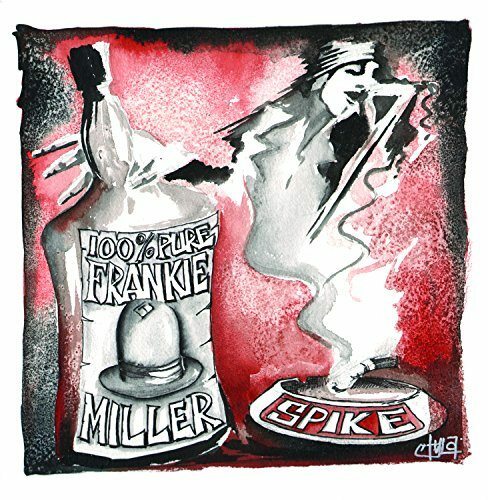 Si vienen todos los años, mejor comprárselo directamente a Spike. Parece que aprovecharon la sesión de maquillaje de la anterior portada. ¿Al final sólo tocan en León? La fecha de León se ha vuelto a caer. Si. Acabo de mirar su web y ya he visto que no sale. Qué tal el disco con Tyla..hot knives creo que se llama....recomendable? @haserretuta escribió: Mola la portada. Tocan (o como comentais, tocaban) en León y en un festival que hacen en Ibiza. Qué cojones, me lo voy a pillar !!! unsanetool16 escribió: Qué tal el disco con Tyla..hot knives creo que se llama....recomendable? No se si será oficialmente molante pero yo le tengo mucho cariño a ese disco. Gran disco se han sacado de la manga. Sólo por el segundo tema "What do you want from me?" ya merece la pena. Como siempre una banda que jamás llegó a lo que se merece por calidad. Es demasiado pronto para valorarlo, pero suena muy muy bien. Estos tipos nunca fallan. A mi me ha encantado. Quizá no tanto como "Beautiful curse", pero buen disco. A mi me ha parecido que es disfrutable y destaca algún tema, pero ninguno de los dos últimos me ha volado el bigote. Spike me gustaria aunque cantase rancheras. Originally released in 2001, “This Is Rock N Roll II” was The Quireboys first album recorded after their untimely split back in 1993 (the bands third actual album). It shows a band at the height of their powers, forged from true Brit rock heritage. Originally recorded at EMG studios, North Hollywood, we witness, yet again, the long established song writing talents from Spike and Guy Griffin. 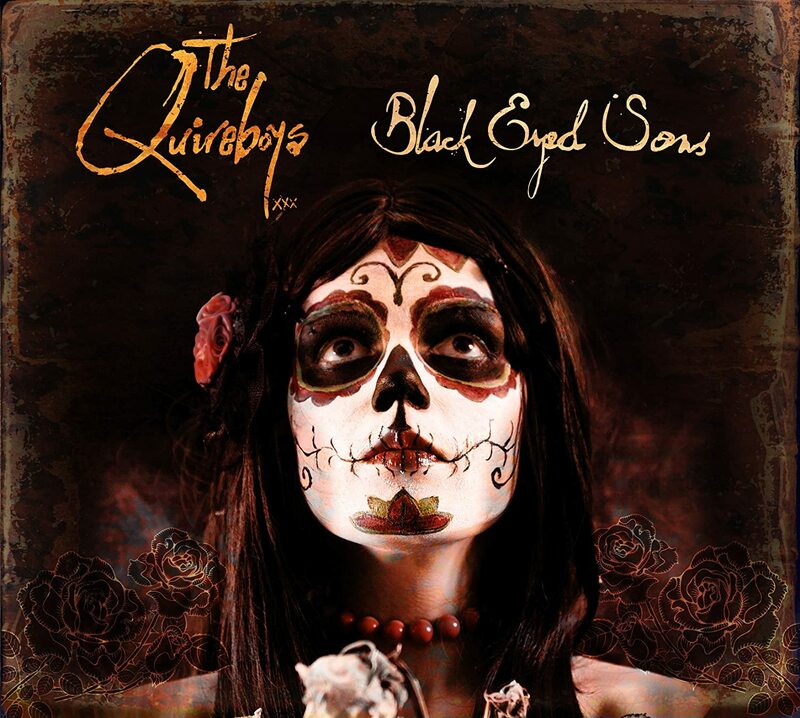 The result was 13 tracks of pure gypsy infused Rock n Roll, something that many territories didn't see and something that is regarded as gold dust to get a hold of by all true Quireboys fans. With the current run of fortune the boys are currently experiencing worldwide, it has become quite clear that the rest of the world as well as the diehards want to get a hold of copy. 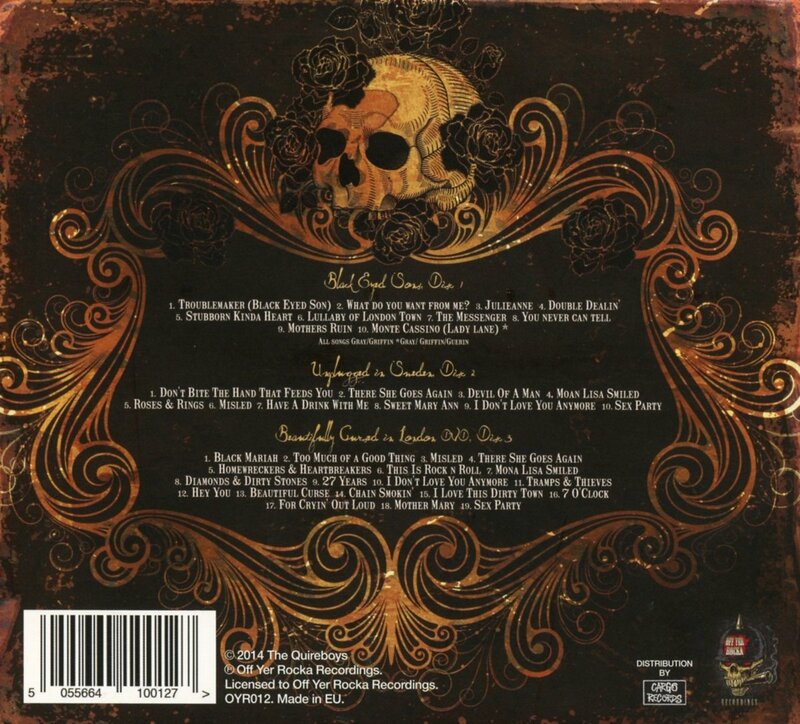 The result is the imminent release of This is Rock n Roll II, re packaged, re styled and with 4 bonus tracks, its yet another high value “must buy” for all rockers and Quireboys fans alike. This is Rock n Roll II will be released digitally and physically worldwide via Off Yer Rocka Recordings on the 23rd October 2014. The original single from the album, “This is Rock n Roll”, has been re-recorded with Chris Tsangarides. This version is not on the album but will be available as a free download from today just click on the link. SIEMPRE ES UN ENORME PLACER VERLOS EN DIRECTO. Viendo a los Quireboys conocí a gran parte de la familia forera. Eh, qué bien suena el último. No lo había escuchado hasta ahora y la verdad es que entra de maravilla a la primera. @Refrescospepito escribió: Espoleado por el buen Celtasnake, estoy recuperando a esta banda que vi en el 2004 en El Sol de Madrid y me gustaron que te cagas. Pues cuando lo vi yo en zaragoza no hacia eses pero cantar canto de putisisma pena. Decepcion. La portada del nuevo tan deudora del anterior me hace temerme otro disco mediocre. Espero equivocarme. Mi favorito de la banda.